Do you know how to utilize aircraft? Or they can be used for something useful? Here we'll tell you about another life aircraft. Nothing lasts forever, and planes is no exception. What happens to the aircraft after the end of their useful life or crashes? Surely they utilize, or even just going to landfill, some turned into monuments. Such monuments can be seen almost throughout our vast country - it's combat aircraft of World War II - a tribute to the heroes of World War II. 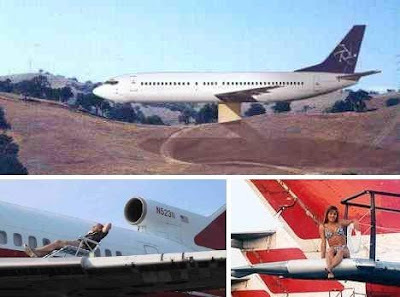 But we are interested in another unusual aspect of life, "deceased" aircraft, so let's talk about the most unusual ways to use of disabled aircraft. At the time, Boeing was engaged in mass production of jet aircraft Boeing 727 and Boeing 737. This is certainly good, but that subsequently had the same mass recycle your old Boeings, resulting in huge costs. 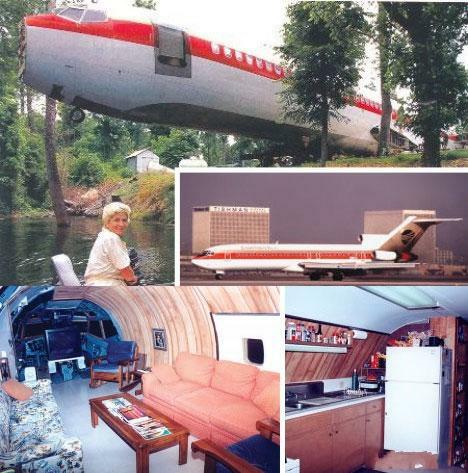 But some people have come up with end-of-use aircraft as unusual dwellings. This house built himself Jo Ann from the USA, who bought the entire fuselage of the aircraft for $ 2,000. Of course, he had to spend on improvement and further development of much more, but he managed to make a decent and unusual house, as you can see in the picture. They were not Americans, if not invented like to earn some money. Max Power company offers a "home-Jets" for 200 thousand dollars. Want to buy an unusual chair? Then please contact Motoart, which restores and remodels airplane seats, and not only civil but also military aircraft. These chairs are very practical, because of airplane seats imposed very strict and they are made of fireproof materials. 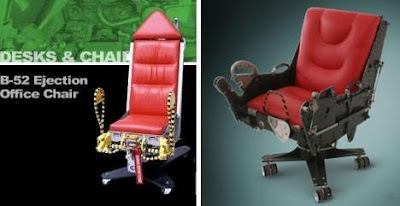 In the photo above are restored from a catapult-chair of the F-4 Phantom (right) and the seat of the famous B-52 bomber (left). 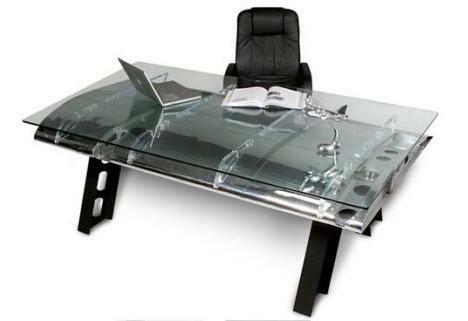 If these seats you want to put in office, without a stylish table for negotiation of aircraft parts is necessary. That's what the company reported handouts: "The body aircraft, which we use to build homes, was designed to carry 173 people at 960 miles an hour in extreme temperatures down to minus 70 degrees. This aircraft will cost millions of dollars and you get this house at prices comparable to prices for conventional homes in the United States. Unfortunately the girl in the bikini is not attached to the house, an airplane. " We now turn to the craftsmen who use aircraft not entirely, but only its component parts. The firm offers MotoArt conference tables legs which are made of aluminum I-beam them, and under glass, you see the wing military aircraft Lockheed (Lockheed C-130). But back home. How do you like this chic double bed Mile High Bed, which became the basis for the wings and other parts from Boeing? 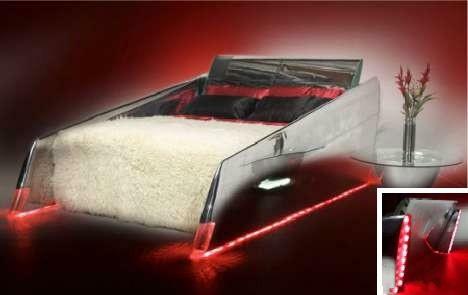 A bed at night you poradeet red internal lighting. In such an intimate setting to turn any girl in gorgeous stewardess. You're so long dreamed about it? Hoteliers can make your reception a very original, if they will order in the familiar company MotoArt reception from turbine rektivnogo aircraft. Table 2.5 meters in diameter with a polished metal surface looks very impressive.